a large bay surrounded by the island of Pag. The house is located 30m from the beach (first row). 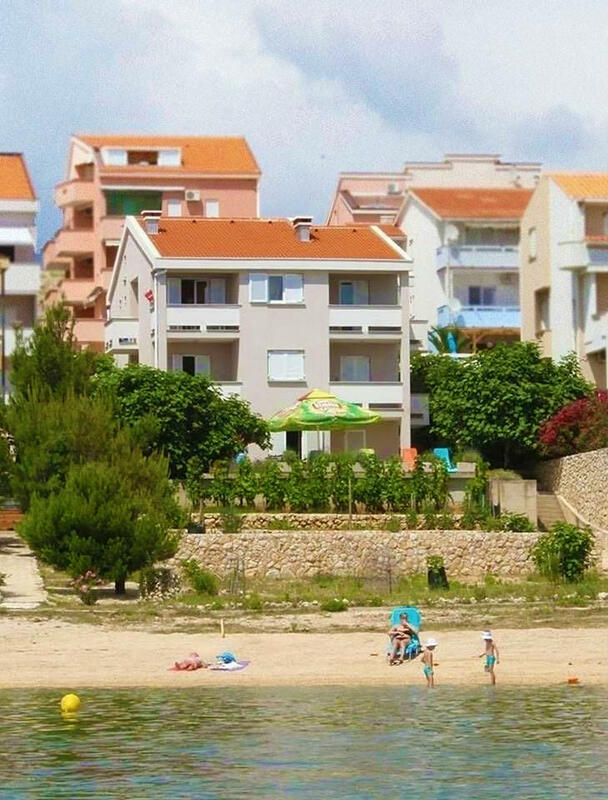 We offer 3 apartments, each of which consists of two bedrooms, kitchen, bathroom, two terraces overlooking the sea Zrce bay, bay Caska, beach Sv.Duh), and one studio apartment with large terrace, equipped for 2 people. At your disposal are two barbecues and 7 parking spaces. Kajic and bicycles are at your disposal. N +44° 32' 21" | E +14° 56' 52"